PRESS RELEASE More people want visible knots in wood flooring and wall cladding than want knot-free wood; many prefer pine for their wood floors; the majority want wood in one or more places in the home; and style preferences for interior design are relatively similar across Europe. These are the conclusions of a new study on interior pine products in the home. The organisers of the study are industry organisation Swedish Wood, Linköping University and Luleå University of Technology. The study was conducted as part of the research and Swedish innovation programme, BioInnovation. The study took the form of a questionnaire in seven European countries: Sweden, Norway, the UK, Poland, Germany, France and Spain, and is based on a little over 7000 responses. The purpose of the study was to investigate Europe’s preferences concerning interior wood products, and to identify interesting segments and export markets for Swedish sawmills. The survey shows clearly that wood is a popular material with a natural place in many parts of the home. Preferences regarding interior design styles (Modern, Scandinavian, Classic and Country) are relatively similar from country to country. However, clear differences can be seen when it comes to where in the home consumers want wood, and there are also some differences with regard to the appearance of wood products and the purchase of home furnishing products. Consumers generally want more wood in the living room and bedroom than in the kitchen, and there is a preference for wood floors and wall cladding in light and subtle shades rather than dark and bold colours. The study also shows that wood is the preferred material for mouldings, flooring and kitchen unit doors. 28–51% of the respondents prefer wooden mouldings and over 60% prefer wood and parquet flooring primarily in the living room, but also in the bedroom. Wooden kitchen unit doors are particularly popular in Sweden, the UK and in Poland, where over 60% prefer their cupboard doors in wood. “Stone floors are more common in Spain, with or without skirting in stone, and the preference for wooden mouldings is therefore lower than in Scandinavia, for example. Only 16% prefer wooden mouldings in Spain, compared with the average of 46%. Poland, however, generally makes wide use of interior wood, echoing the Scandinavian style,” explains Olof Broman, lecturer at Luleå University of Technology. When it comes to preferences for wood in windows and doors, the countries can be split into two camps, with Sweden, Poland and Norway making up the group that most likes windows and doors in wood. Once again, Poland stands out, with 64% preferring wooden doors. The study also shows that around 25% of the respondents are positive towards wood cladding as part of a wall in the living room and bedroom. “It’s interesting that in all the countries more people would choose visible knots in wood flooring and cladding over the knot-free look. Visible knots are increasingly being seen as an interesting design feature. Choosing pine for interior design is also a more environmentally sustainable alternative than steel and plastic, for example,” comments Björn Nordin, Director of Interior & Design at Swedish Wood. “The study shows that interior pine products are a market of the future, so the wood industry needs to be prepared to deliver the modern and attractive wood products that are in demand,” concludes Olof Broman. The organisers of the study are industry organisation Swedish Wood, Linköping University and Luleå University of Technology. The study was conducted as part of the research and innovation programme, BioInnovation. There are in-depth reports for each country. For access to the country reports, please email info@swedishwood.com. The study is conducted as part of the research and development programme BioInnovation – Biobased Construction and Housing of the Future as part of the sub-project Market Conditions and Business Models. The images may be used for this article. Please write: Luleå University of Technology, Wood Science and Engineering. PRESS RELEASE Modern style, light colour and visible knots – that’s how consumers want to decorate their home with wood. 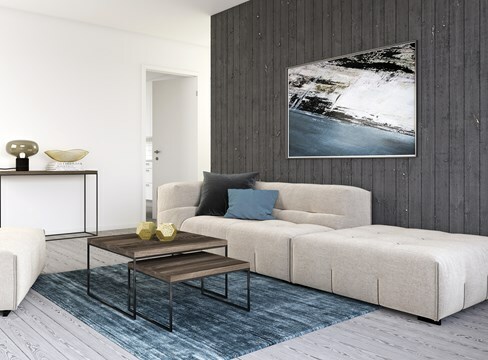 This is according to a new study of opinions on interior pine products, conducted as a research project within the Swedish strategic innovation programme, BioInnovation. The organisers of the study are industry organisation Swedish Wood, Linköping University and Luleå University of Technology. 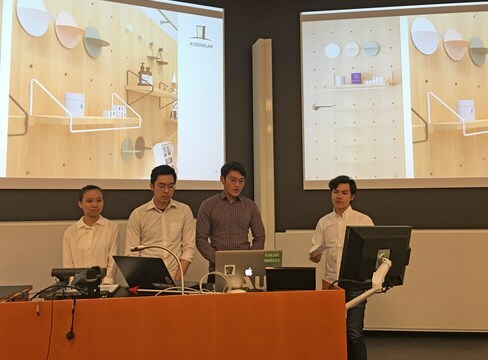 PRESS RELEASE In collaboration with industry organisation Swedish Wood, 27 students on the Entrepreneurship and Innovation Management programme at KTH, most of them from Singapore, were asked to develop applications for Swedish pine. Creative solutions to social problems and strong ties to both nature and health can be seen in what the students produced. 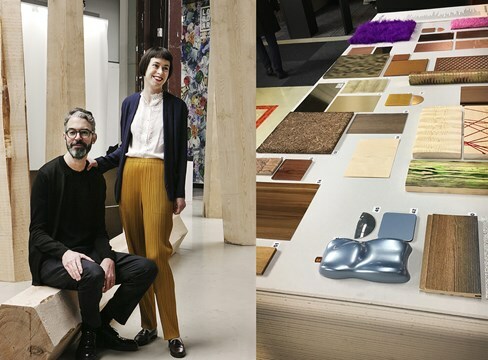 PRESS RELEASE Pine’s position as an interesting material of the future is clearly showcased in the Trend Exhibition created by the Swedish design studio Halleroed for Stockholm Furniture & Light Fair on 6–10 February. It is a wood species that can take on a wealth of innovative expressions thanks to modern surface treatments and new technology. There are many reasons why this is an exciting collaboration for the industry organisation Swedish Wood.